Arsenal are reportedly set to axe two players in this summer’s transfer window in the form of defender Shkodran Mustafi and forward Lucas Perez. The Gunners look set to spend big on three new signings, but the Evening Standard claim this will lead to the club having to offload players in other areas to balance the books. If the Standard’s reported £62million triple deal for Bernd Leno, Lucas Torreira and Sokratis Papastathopoulos does come off, then Arsenal will have gone over their £50m spending budget. The report suggests this means likely ditching of under-performing players like Mustafi and Perez, the latter of whom has just been out on loan. Mustafi, meanwhile, has had two seasons in the Arsenal first-team and has largely disappointed, with the Standard reporting that head of recruitment Sven Mislintat is unsure about his qualities. 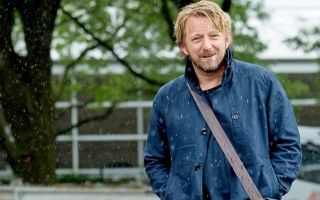 With Unai Emery replacing Arsene Wenger as manager this summer, it really is all change at Arsenal as Mislintat, Emery and co. seem set on putting their own stamp on this squad.